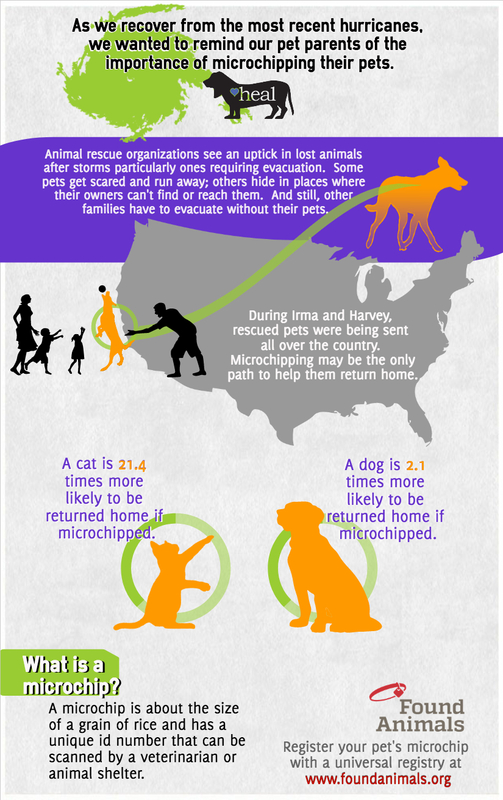 A microchip is a small device that is inserted into your pet’s skin and provides a unique number that can be scanned by veterinarians, shelters, and other such clinics and organizations. This number is linked to an online registry that contains the owner’s contact information. Instead of relying solely on a collar or tags that could easily be lost in the event of a storm, a microchip offers the same identification while eliminating this risk. Increases your chances of reuniting with your pet in the event he or she is lost. Can be easily inserted by your Heal veterinarian, a clinic, shelter, or humane organization. Refers, when scanned, to a registry that “must have up to date owner contact information.” It is important for pet parents to keep this information up to date. 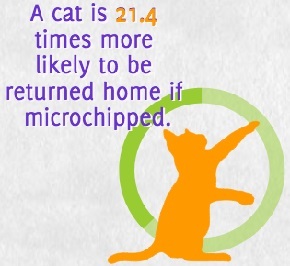 Heal highly encourages you to consider microchipping your pet. Please let us know if you have any questions.